mn nax Dec 01 2018 7:45 pm narn nayo noyo. Daychan Aug 15 2015 6:21 am i must agree with the previous comment that stated "go pretty model x arashi!" because this drama is literally cliche if you look at the plot. just because the cast is so wonderful, the ratings can fly. 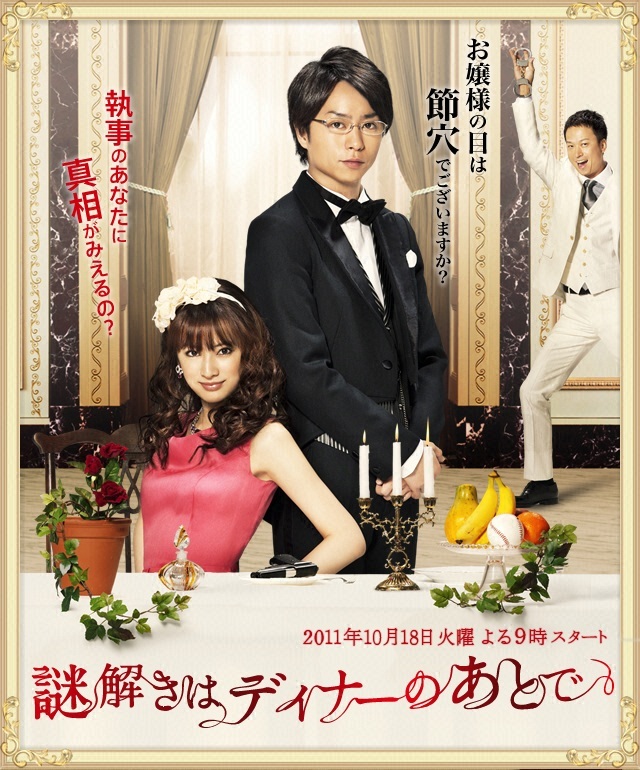 but you know, "that pretty model and arashi guy" made a good chemistry, which is why i watched this drama till the end. they're not a mere "ratings' puller". i think they did great. the mysteries part aren't that bad anyway. give it a try if you like mystery-detective. maneki hobbang Nov 19 2011 8:24 pm i wonder why the ratings on this site don't always match the viewership ratings. at least i'm not someone who can sit through a drama only to watch idols i like give a weak shot at unrealistic characters of a lame plot. kitagawa is a doll, but i won't comment on her acting. i like sakurai because of his wit and variety skills, not because of his acting. the 2 people's image match well with the characters, but the detective and heiress storylines are just too old. if the producers aimed higher, the drama would at least be bearable. but the repetition of simple loopholes in the cases and various tasteless humor as filler drags down the somewhat interesting interaction between the characters. instead of having the butler knowing everything and the heiress being an airhead, i'd like to see that they're each more capable in different skills and work together to solve the mysteries. but what do i know? the ratings are as high as ever. go pretty model x arashi! kyouya2909 Nov 06 2011 3:00 am I've watched 3 first episode of this drama, I picked this drama cuz I really like Keiko, this drama getting better! lovinsho Oct 03 2011 8:28 pm SHO!! <3 After being a doctor, he plays a butler A very must watch! Sakuraibadesu Sep 14 2011 4:14 am YAY! Sho butler. <3 I can't wait! Ohmiyaskdesu Aug 30 2011 9:08 am Yes, a new drama for Sho!! I'm so totally going to watch this!